Colorful, decorative and functional life-saving device. Lightweight and durable. Excellent weather r..
USCG approved. 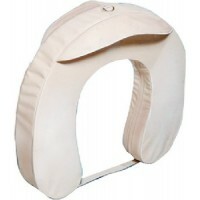 Manufactured under strict codes with solid, closed-cell plastic throughout. 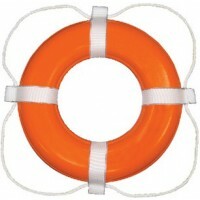 Soft, res..
USCG approved.GX models have no straps to wear out and the rope is looped and securely bonded inside..
20in orange hard shell ring bu Size: 20"Color: Orange..
20in white hard shell ring buo Size: 20"Color: White..
USCG approved. Includes reflective tape for increased visibility and safety. 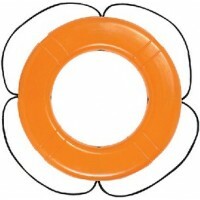 Manufactured under stri..
24in orange hard shell ring bu Size: 24"Color: Orange..
24in white hard shell ring buo Size: 24"Color: White..
Ring buoy hard shell orange Size: 30"Color: Orange..
30in white hard shell ring buo Size: 30"Color: White..
Rectangular and designed to firmly hold and support buoy at base, center and top. Polished 1/4" stai..
USCG approved. 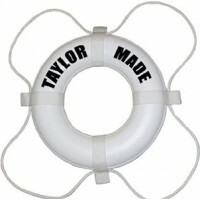 Features built-in sea anchor with extra strong white vinyl coated nylon cover and hea..
USCG approved. 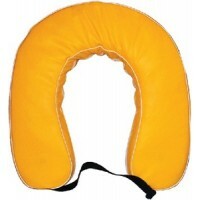 Features tough, yellow vinyl fabric with beaded edges over closed-cell plastic core. .. 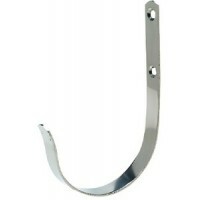 Flush mount stainless steel strap. 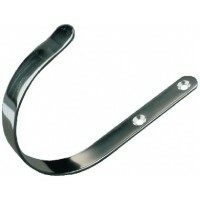 Ideal for mounting to bannisters, boathouse walls or pilings. 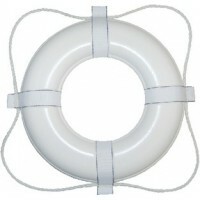 Kee..
USCG Approved"DOLPHIN" Life Rings are U.S. Coast Guard and DOT approved. The ring bodies are warrant..
Dolphin life ring buoys are made of a rotomolded polyethylene shell for durability. These colorful a.. Rescue stick-us version Description: Rescue Stick..
Powder coated stamped aluminum. 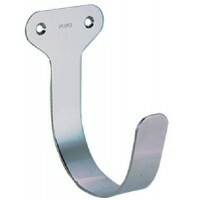 Can be used on 7/8" or 1" tubing or mounted directly to a flat surfa..
Made of 304 stainless steel and has a hook diameter of 4". Pack: Carded..
Made of 304 stainless steel and has a hook diameter of 4". Pack: Bulk.. Inspected and tested in accordance with U. S. Coast Guard regulations. Rings contain unicellular pol.. Contain unicellular polyurethane foam. 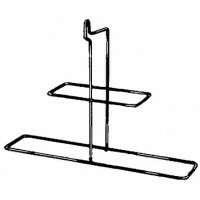 Features floating polypropylene grab lines with UV Stabilizer..
Package includes 2" Black letters and numbers (4 ea.) plus symbols. Constructed from waterproof mari..